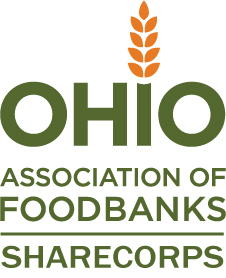 Join Ohio's LARGEST charitable response to hunger as a national service member! ShareCorps members perform indirect service at local organizations, such as recruiting volunteers, building program curriculums, fundraising and grant writing, connecting communities with resources, and creating sustainability within their agencies. View open positions. Listen to and watch Five Words About Americorps. ShareCorps Summer Associates serve in both direct and indirect capacities at Summer Food Service Program sites across the state. Members spend nine weeks planning menus and curriculum, conducting outreach, and recruiting volunteers. View open positions. Please apply immediately to positions that interest you. Please see each listing for application deadlines. ShareCorps | 2019-20 year-long positions are listed below, by location. Applications will be accepted until May, but many positions will be filled before then, so don't wait! Click to learn more and apply today. ShareCorps Summer Associates | Summer 2019 positions are listed below, by location. Applications will be accepted until May, but many positions will be filled before then, so don't wait! Click to learn more and apply today.